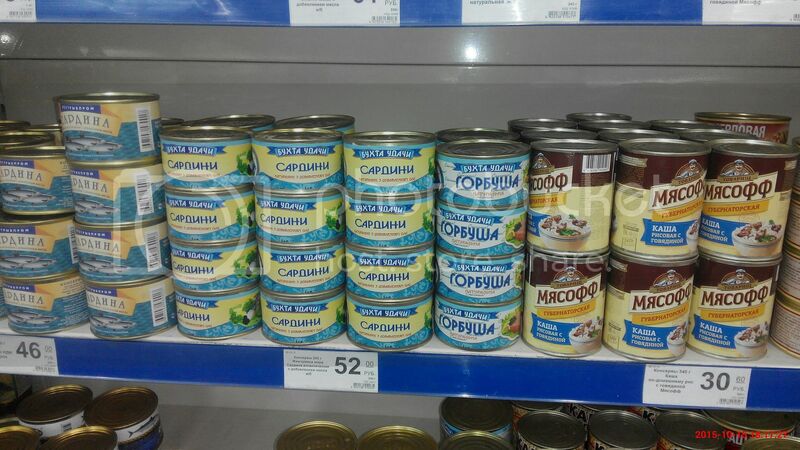 Donetsk as all other occupied cities and towns is crowded with Russian food products though people do not think high of them. People are tired of buying low quality stuff which is, at the same time, very expensive. 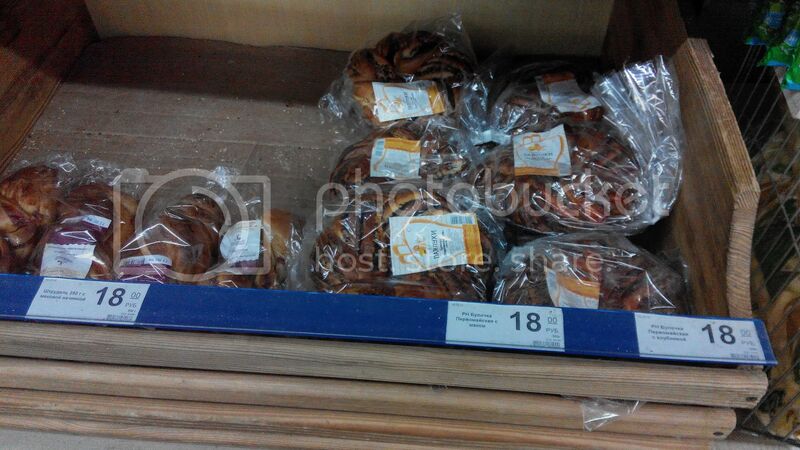 Residents of Donetsk think that the food brought from Russia is of poor quality and sometimes not eatable. One may hear lots of complaints in supermarkets. 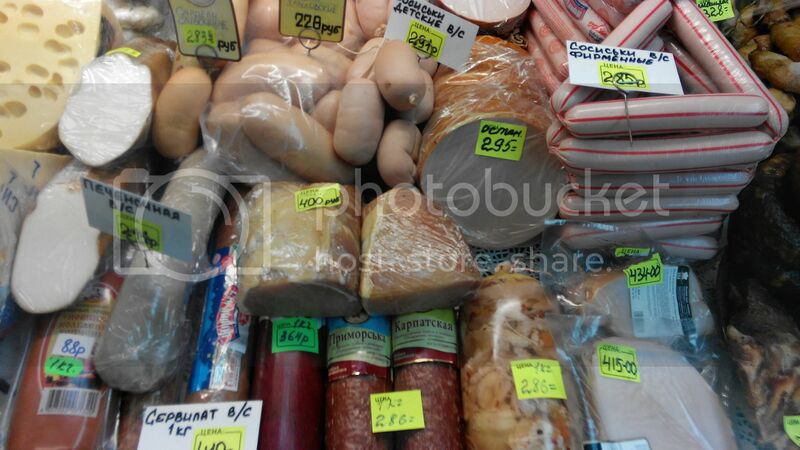 The prices are not affordable to residents as the prices are fixed according to the correlation 1 Ukrainian hryvnya to 3 Russian rubles though the exchange rate is 1 to 2 plus 10-20 % commission. The wages are also paid at the rate of 1 to 2, and those who are paid at the rate of 1 to 2.4 think they are very lucky. 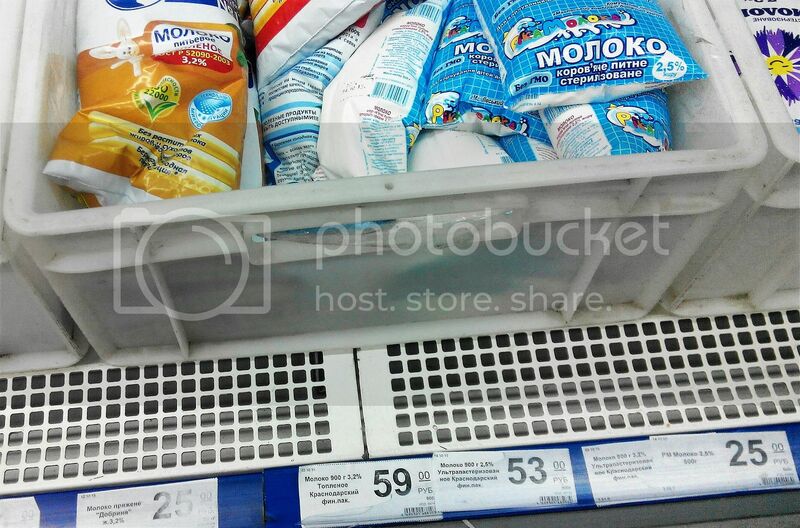 One has to pay 300 Russian roubles (150 UAH) to buy a litre of milk, bread, a piece of cheese, a dozen eggs, and some vegetables which will be eaten within one day. 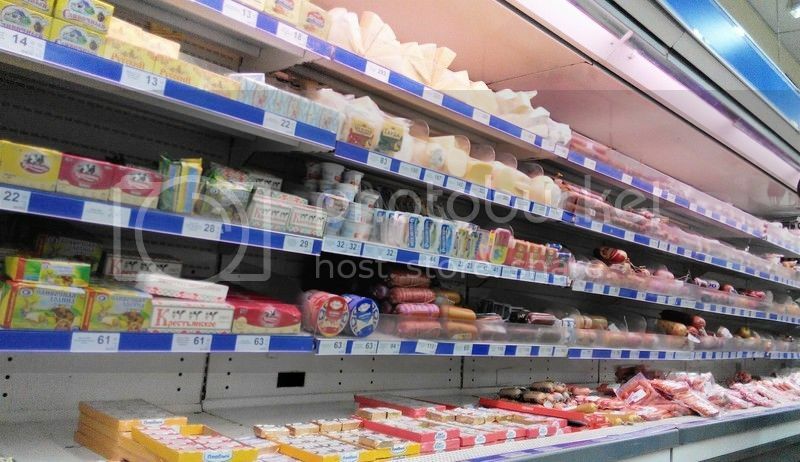 It is difficult to find cheese. 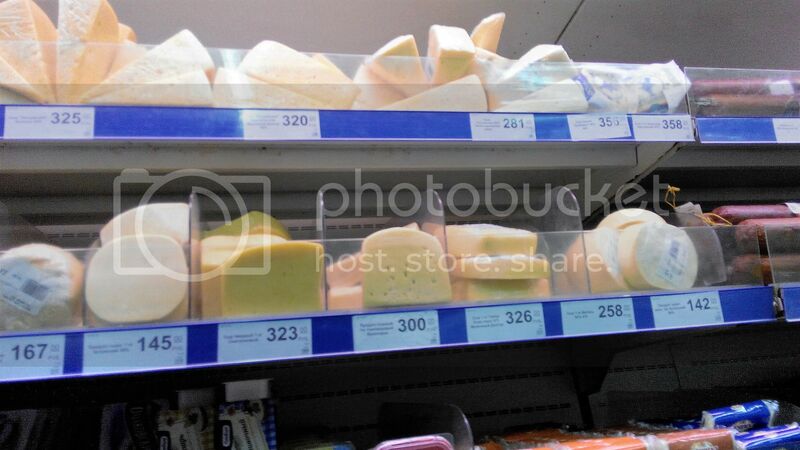 Cheese products are mostly sold. 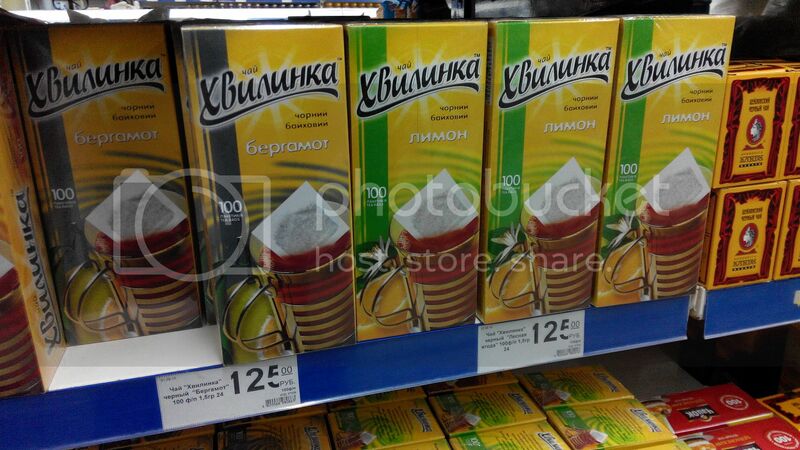 They are cheaper than cheese – 140 rubles (70 UAH) a kilo. 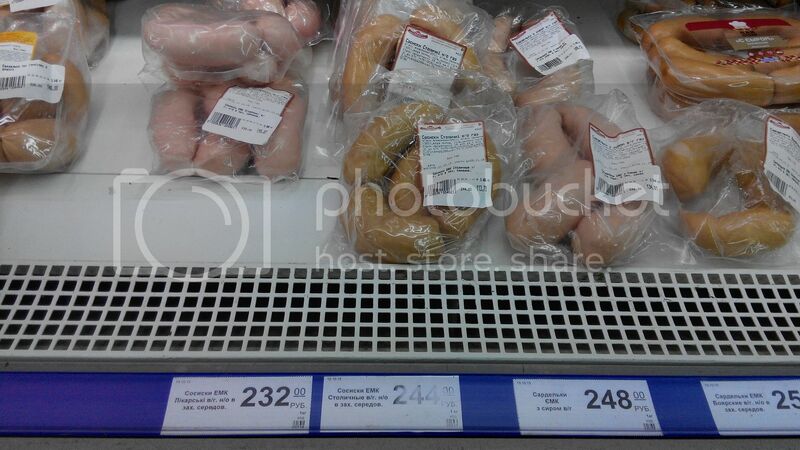 The price for frankfurters produced in Yenakiyeve (the territory not controlled by Ukraine) is 230 rubles and higher. 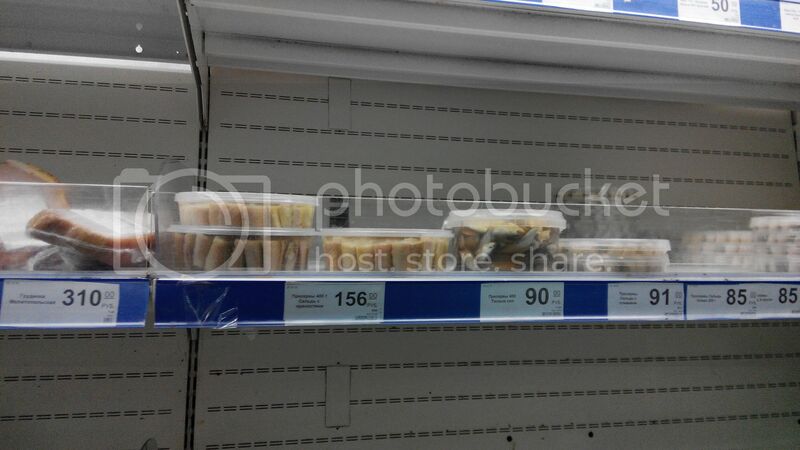 Chicken fillet is very rare and very expensive – 210-250 rubles whichis about 105 UAH, meanwhile in Maryinka and Vuhledar, controlled by Ukraine, the price is not more than 55 UAH. 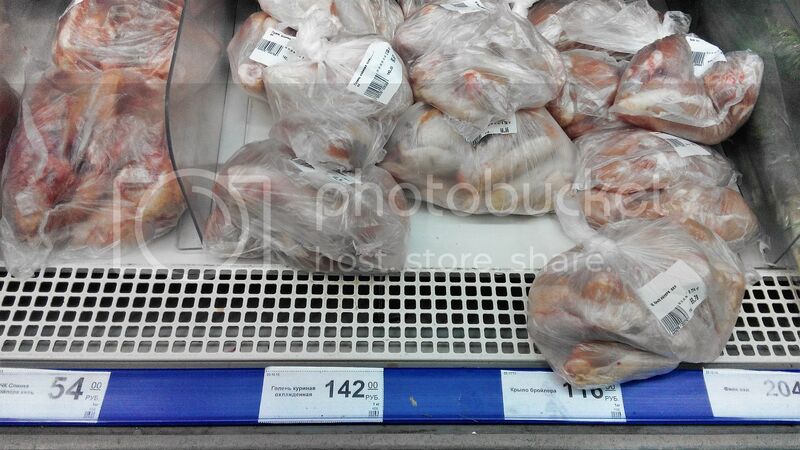 Chicken legs are 140 rubles, wings – 115; 400 grams of herring is 150 rubles (75 UAH). Milk and eggs are the most simple things; they should be cheap. 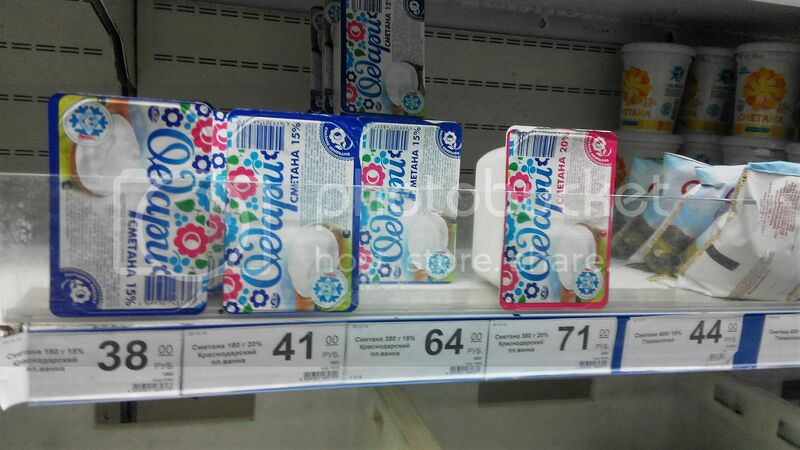 However, in Donetsk they are a luxury: milk is 37 Roubles; eggs – 55-65. 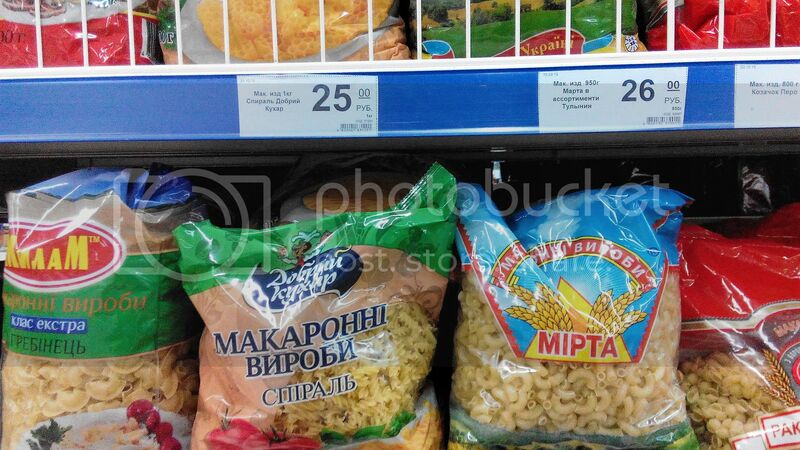 Pasta which is sold in Donetsk is produced either in Donetsk or in Dnepropetrovsk. 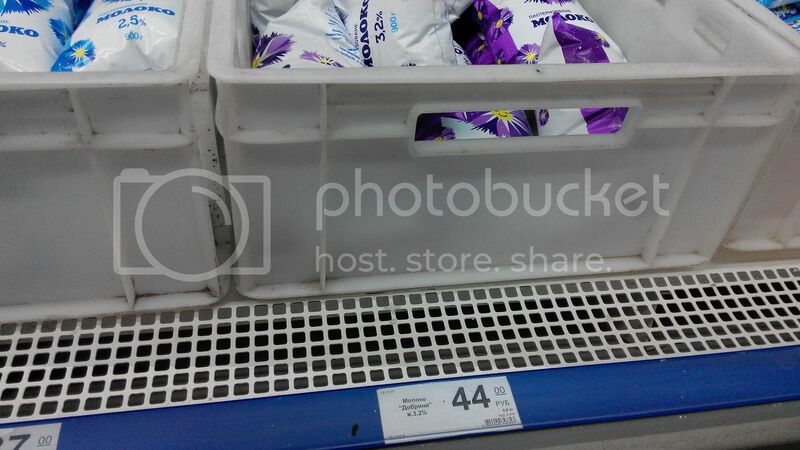 The price is almost the same as it is on the unoccupied territory. 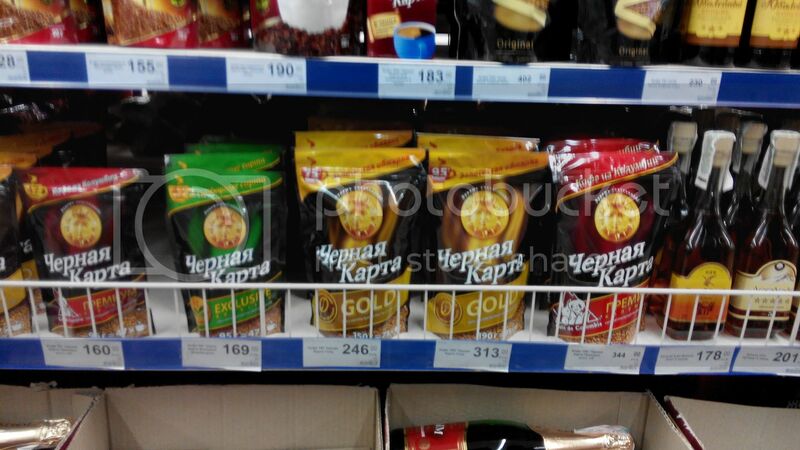 Pasta “Kazachok” on sale in the former “ATB” shop which was grabbed by Zakharchenko and turned into “Republican supermarket”. 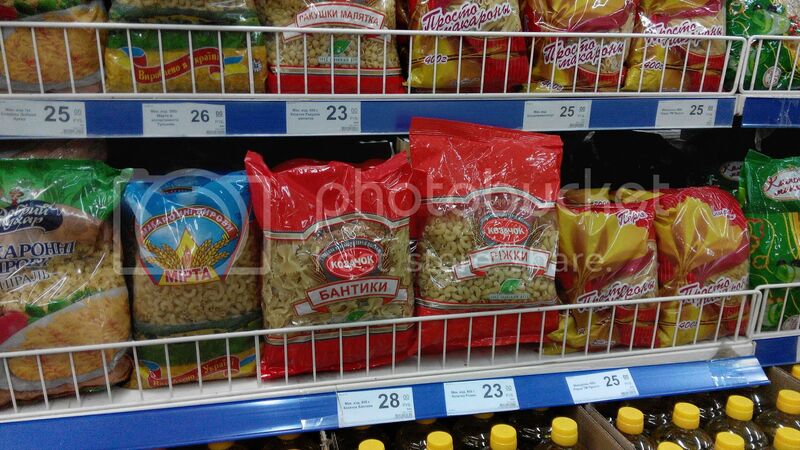 (Pasta“Kazachok” was also inside Akhmetov’s humanitariam aid packages; maybe it is just a coinsidence). 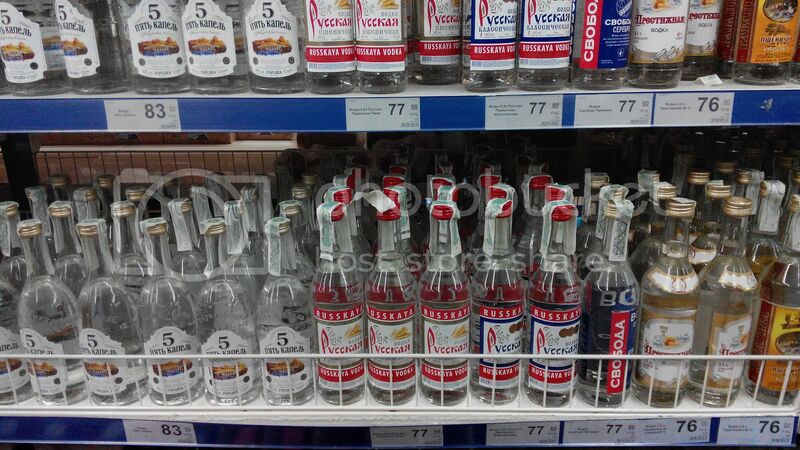 Spirits of different colours and tastes are available in great amounts: “Moscovskaya”, “Stolichnaya”, “Russkaya”, “Serebryanyi Rodnik”, and even Ukrainian “Pryvatna Kolektsiya” and “5 Kapel”. 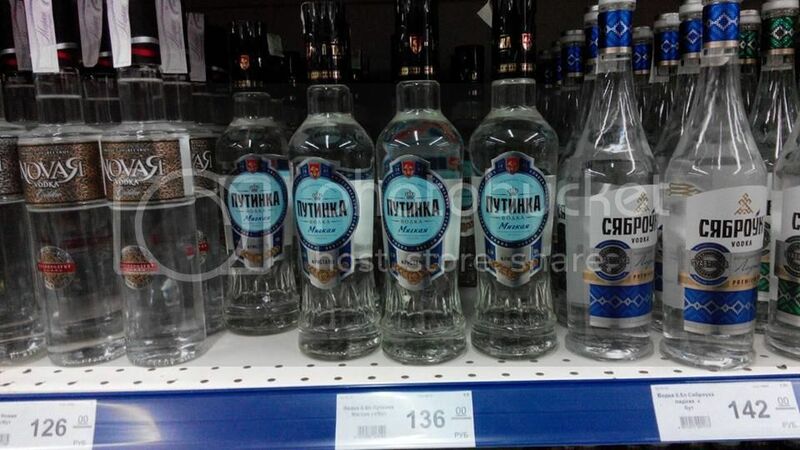 And, of course, there is “Putinka” as it is impossible to create “Russian world” without it. 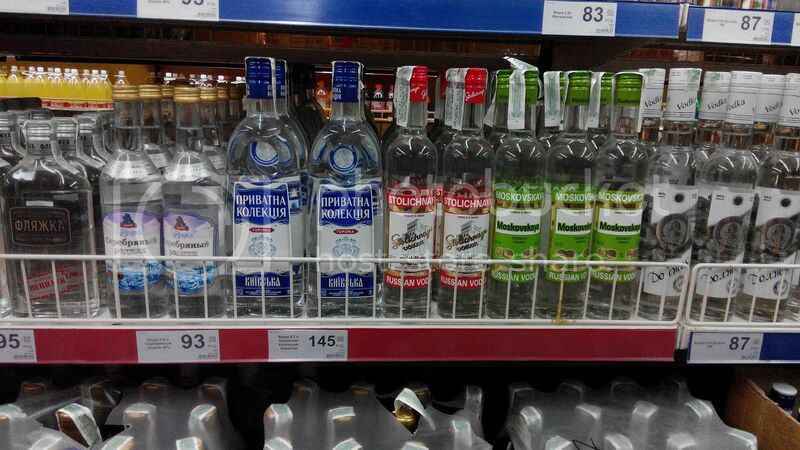 Beer is from Russia, Belarus, and “Chernyhivske” (Ukraine) is also on sale. 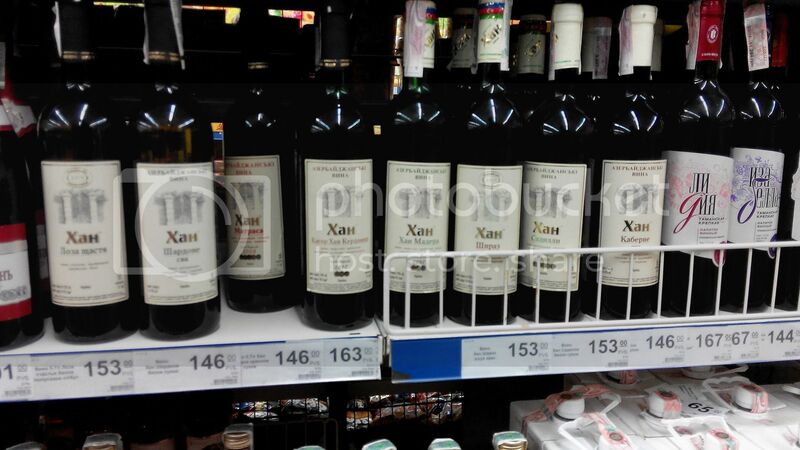 Wines are from Russia. 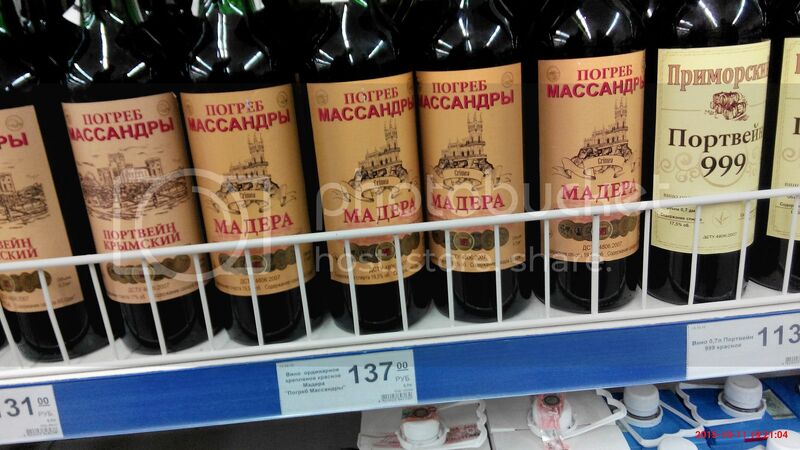 There are lables “Massandra Cellar” on some of them; however, buyers prefer wine from Azerbaidzhan. 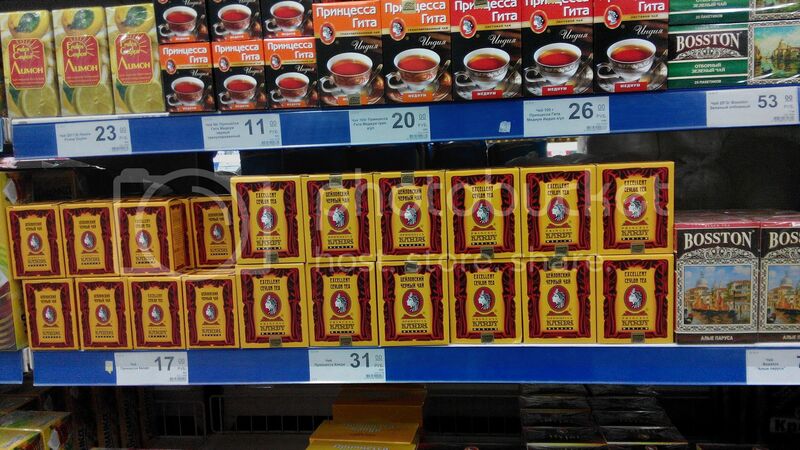 People have understood: More expensive does not mean higher quality; quality goods are definitely not from Russia. However, people have no choice.